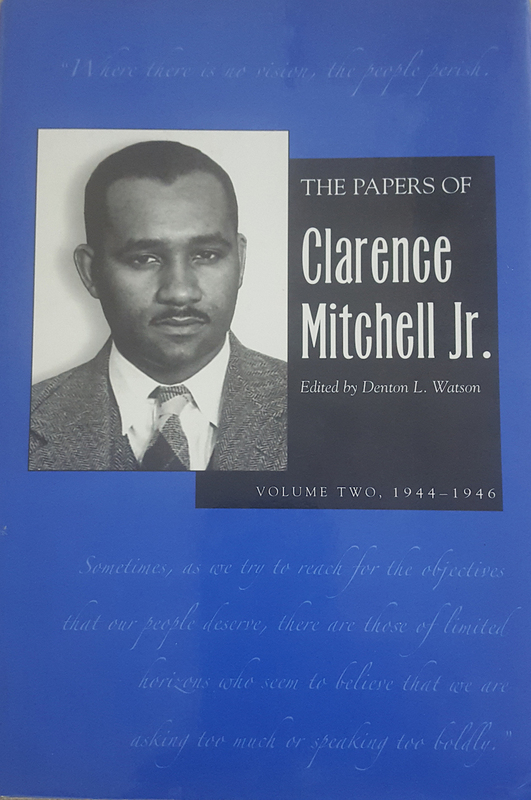 Volumes 1 & 2 (1942-1946): Synopsis | The Papers of Clarence Mitchell Jr. The Fair Employment Practice Committee was founded on the principle that equality of job opportunity permitted citizens to establish their place in society according to their skills. This belief that no barriers to livelihood existed excepting an individual’s attitude guided the nation from its birth. Prior to World War II, however, this concept was never backed by law, partly because the majority of Americans never felt the need to provide protections for job opportunity. The practice of assigning blacks, Mexicans and other exploited groups to low-paid, unpleasant, heavy work was simply unchallenged. National self-preservation pushed the government six months before Pearl Harbor to take the first national step to make equal job opportunity a protected right. The advances of Nazi Germany throughout Europe awakened America to the need to increase significantly its production of war materials in preparation for war. A survey in 1941 by the Social Security Board of manpower needs showed that if the blockade of the full use of minority group labor were removed, production would vastly increase and thus improve the nation’s chances of facing the war machines of the Axis powers. At the beginning of the defense period in 1940, black workers were mostly on farms, in service or other unskilled jobs. The percentage of blacks in manufacturing was lower than it had been 30 years earlier. Although one-tenth of the American population was black, only one black in 20 was in the defense industry; only one in 22 had a skilled rating, compared to every seventh white American, who was a skilled craftsman. Many trade unions had constitutional barriers to membership by blacks. At the same time, two-thirds of black labor was located in the southern states, which held only 13.5 percent of defense production contracts. The one and a half million Mexican-Americans in the labor force were similarly underutilized, with the vast majority being confined to common labor in the South-West. The defense period thus began with a sizeable reserve of unemployed workers. But while unemployed whites were first called back, trained and placed on a job, blacks remained disproportionately unemployed and on relief. As associate director of field operations, Mitchell led in implementing the order. He directed the field staff in working not only to persuade nervous or intransigent employers, but also labor unions and white workers to remove obstacles to ending discrimination. Those obstacles included strikes and work stoppages to block the hiring or upgrading of blacks, most often men, but sometimes women. Mitchell’s job of implementing the FEPC’s nondiscrimination clause, which was required by Roosevelt to in contracts negotiated by all agencies of the government, was the heart of the FEPC’s mission. 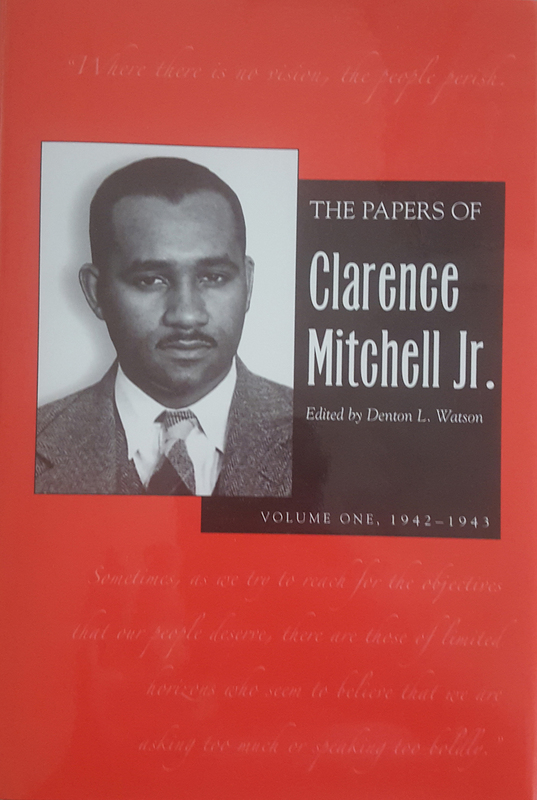 Mitchell’s FEPC reports provide two approaches for assessing his contributions to the civil rights struggle. One is short-term, measuring his role from 1941 to 1946 in implementing the agency’s nondiscrimination policy and programs for opening up job opportunities to African Americans and others covered by the order; and the other is long-term, through the strategies he subsequently developed to preserve and strengthen the FEPC idea until Congress enacted a permanent agency and nondiscrimination program in 1964. His contributions to the FEPC included documenting during his investigations across the country the extent to which segregation and racial discrimination were one in refutation of the judicially contrived “separate-but-equal” doctrine. In addition to the nondiscrimination clause, his implementation of the committee’s policies included getting employers and labor unions to take “affirmative action,” or positive action as a part of the normal process of fulfilling President Roosevelt’s mandate.